It’s the beginning of a new year which is a good time to start a new challenge. Perhaps it’s time to learn a new skill or develop a talent that has been left on the back burner for too long. If you have always wanted to learn to draw and paint, there’s no time like the present. 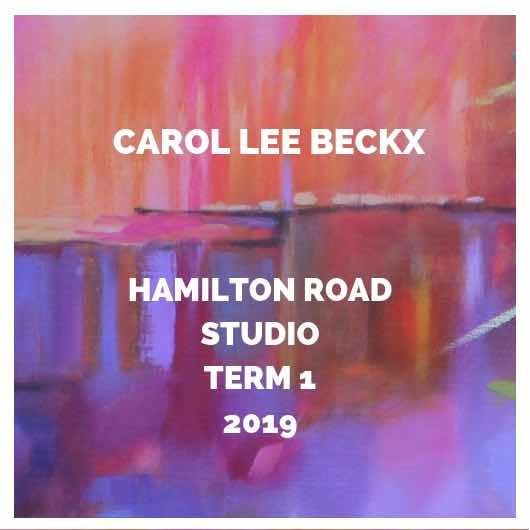 I have been teaching in my Studio on Hamilton Road, McDowall for the last eight years. Teaching has been so rewarding, I love seeing the people who attend my Studio grow and develop as artists. The classes are designed for both beginners and experienced artists alike. The classes are small with a maximum of six people in each class. The small size allows for individual tuition as well as the opportunity to work in the medium of your choice. I strongly believe that artists should follow their own direction and find personal inspiration. I encourage them to find their own voice rather than producing work that looks exactly the same as the rest of the class. I work with each artist to assist in finding what they want to paint and how to plan the design of each work. While my methods of teaching may not suit everyone, especially if you like to be given a set plan to follow.Doing your own thing can be a little confronting – you do have to come up with your own ideas but will do so with my guidance. After a short while, the artists soon start producing unique artwork. During each class there will be some demonstration of technique as well as individually mentored tuition. Classes are small (Max 6) so each participant can work in their chosen medium and at their own pace. Fees are $36.00 per class, paid at the beginning of term – single payment; or two payments during the term. Payment can be by bank transfer, cheque or cash. Credit card facilities are available – Surcharge applies. There are often blocks of a few weeks at a time when regular artists take holidays. 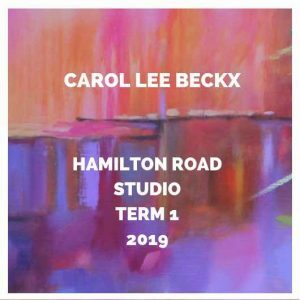 Please contact me at info@carolleebeckx.com for Studio Terms and Conditions.